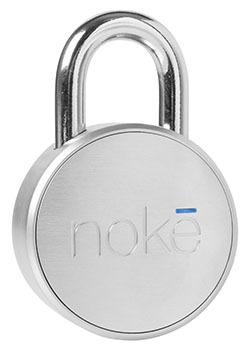 The manufacturers of Noke, the padlock you unlock with your phone via Bluetooth, brag that you’ll save yourself from the “hassle” of keys by using your phone to unlock their $70 padlock. They then sell a separate $25 remote, which you attach to your keychain, to allow you to unlock your lock without a phone. The battery inside is estimated to last a year, which is handy if you’re planning on using it over a longer period of time. Of course, it could stop working sooner, if the app fails due to an OS update on your phone. Or, as several reviewers note, if it quits working one of the first times you try it, sealing your clothes inside your gym locker (or your bike to a pole) for eternity.